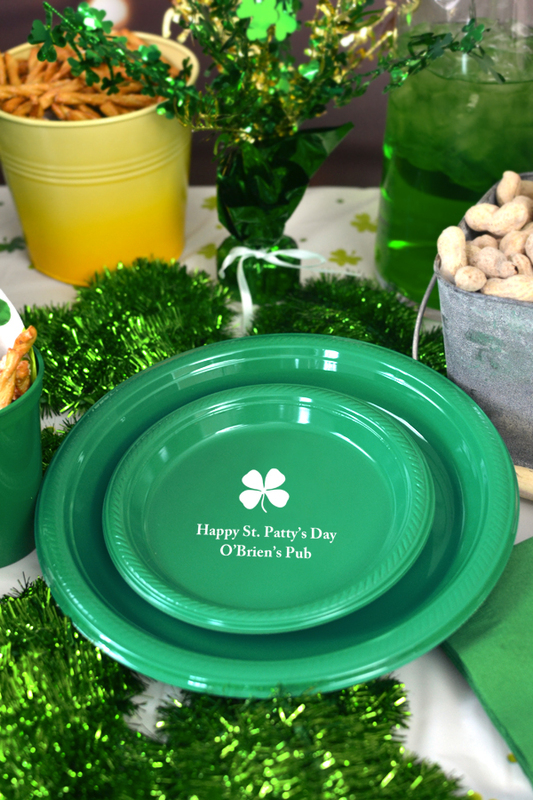 Serve up sauerkraut balls, appetizers, desserts, and an all around Irish feast on these disposable, personalized plastic St. Patrick's Day party plates. Set them out on the buffet table for dinner or at the appetizer table for serving finger foods. Personalized with a festive Irish themed design and three lines of custom text. All plates are made from thick plastic that won't fold under pressure and are printed with FDA approved food-safe ink.